ARLINGTON, Va. — The National Association of Chain Drug Stores is mobilizing its membership to voice their support of the Pharmacy and Medically Underserved Areas Enhancement Act, known as the pharmacist provider status bill. NACDS said its RxImpact grassroots program has kicked off a letter-writing campaign urging pharmacy advocates — including NACDS member companies, state pharmacy associations and schools of pharmacy — to contact their representatives in support of the legislation. So far, pharmacy advocates have sent 2,048 letters to lawmakers in the House of Representatives and the Senate, NACDS reported. The House last week reintroduced a companion bill (H.R. 592) to the Pharmacy and Medically Underserved Areas Enhancement Act, which the Senate had brought back to the 115th Congress earlier this month as S. 109. Both pieces of legislation had retained their original co-sponsors from the previous Congress. For the letter-writing campaign, NACDS said advocates should note that pharmacists have been limited in providing patient care they’re qualified to perform because they’re not deemed as health providers in Medicare and Medicaid. “The future of pharmacy will be dependent upon the provider status decision,” Greg Guenther, director of pharmacy for supermarket chain Dierbergs, wrote in an email to his pharmacy team, according to NACDS. “Will we continue to expand our responsibilities to meet the training we have and the demands of our patients?” he added. Specifically, H.R. 592/S. 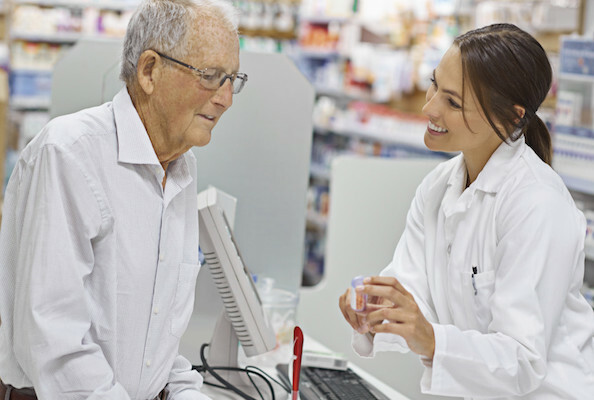 109 would recognize pharmacists as health providers and allow state-licensed pharmacists in medically underserved communities to provide and be reimbursed for an expanded scope of patient care services under Medicare Part B.